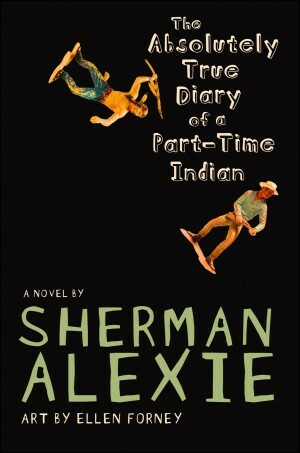 Since we last checked in with Brunswick County, North Carolina, where local resident Frances Wood is on a one-woman crusade to have Sherman Alexie’s The Absolutely True Diary of a Part-Time Indian banned from Cedar Grove Middle School, there is good news and bad news. The good news is that a review committee at the school unanimously decided against removing the book, but the bad news is that Wood has appealed that decision. Wood is not deterred by the overwhelmingly pro-book decision, however; she has appealed it to Pruden as the challenge policy also allows her to do. If he agrees with the review committee that the book should not be banned, she intends to appeal again to the school board. In fact, she thinks that Cedar Grove principal Rhonda Benton should have removed the book “simply because she is a believer and a member of the Christian church.” The challenge policy does allow for either the school principal or a review committee to make the initial decision on a challenged book, but Benton took the committee route because she attends the same church as Wood and thought there might be a conflict of interest–which was absolutely correct! It’s time we call a spade a spade and a filthy book a filthy book, no matter whose toes we have to step on. And we need to quit being politically correct when someone does something we know is in direct conflict with the Bible. We need to stand up and shout. I know I don’t want to take the consequences of God’s wrath. You know the parts that are ‘controversial’ and ‘offensive’? They’re meant to be offensive for a reason: to show that yes, prejudices do happen. The racism and prejudices Natives face is real. It’s not in the past, it’s in the present, and will remain in the future unless we openly discuss it in classrooms and show why it is wrong. If you want us to love reading, then quit taking away the books we love. Frances Wood says that she “worked with children for 40 years” and thus feels she is qualified to judge the value of this book for Brunswick County students. But if she truly cares about young people, why would she want to eliminate anything that could be a lifeline for even a single teen?